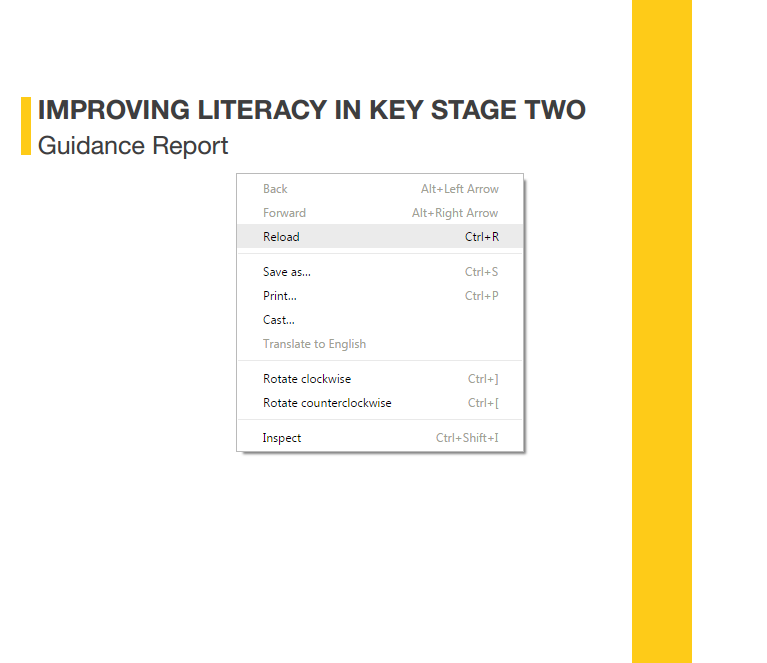 This report is part of a series providing guidance on literacy teaching. It builds on the recommendations presented in our Improving Literacy in Key Stage One report, but is specific to the needs of pupils at Key Stage 2. At Key Stage 2, pupils are consolidating their literacy skills, building their vocabulary and developing their fluency and confidence as speakers, writers and readers of language. While many of the strategies and examples presented in this report are similar to those in the Key Stage 1 guidance report, they are often more complex and multi-staged, reflecting the increasing depth and breadth of pupils’ knowledge and skills. Pupils will be using strategies with increasing independence and sophistication, and will increasingly be able to combine them.